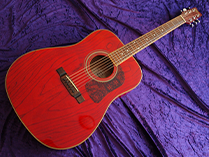 My first guitar was this very nice ’69 Gibson acoustic guitar from my dad, which I used on and off for about 8 years. 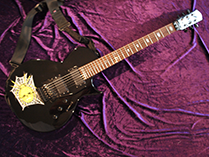 When I had my first holiday-job I save the money to buy my first electric guitar called the Gimmax, Which had the Fender style body and hardware but the playability was really terrible, and didn’t really help me a lot with my playing, 3 years later I saved some more money to buy my very first heavy metal guitar, the B.C Rich Iron Bird. 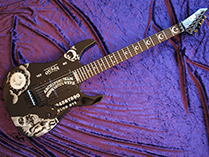 This guitar looked dangerous and played like a monster, and changed my playing for the better. 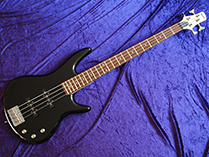 But everything changed when I found my first unique and rare Ibanez Jem777PMC in may 27th 1994. 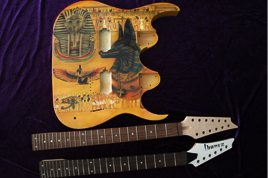 This became my main guitar, and still…..but over the years I started to collect some other rare and unique models from Ibanez, like the Reb Beach Voyager and the PGM series. 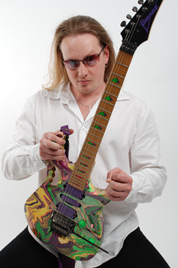 In early 2004 I started to build my own guitars since I was missing a few models in my collection which I really loved. 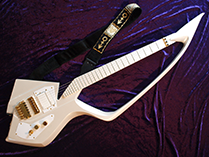 Cloud and Symbol guitar for Prince and the UVPAW for Steve Vai, I decided to make those models my self. From that day, the custom builds projects launched into an insane collection. For those Custom Projects I started simple, since I had no background of any wood craftsmanship or what so ever. And over the years one model lead me into another, I started a new project before I finished the one I was working on, and came up with some great new idea’s. 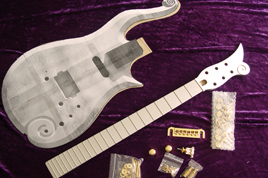 I started to build the Ibanez Jem7bsb, Ibanez PGM700wht and the Ibanez WRB-3 models. Still I have a “to do” list on models that I am working on or models that I wish to build soon. 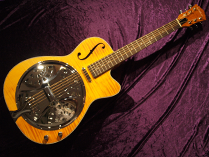 You can read about the status of those custom build guitar projects at the bottom of this page. So you will have an idea on where the project is going. 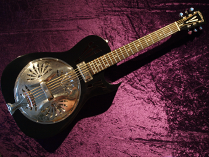 Here is a list of the guitars that I own and have so fare in my collection. 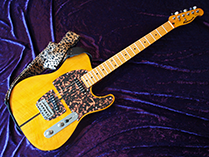 Here is a list of the guitars that I own and have so fare in my collection.By clicking on their name or the picture below or just on their name in the list on the right of each page, you’ll go directly to their main page where you can read something more about each guitar, their specifications, configurations and for the Custom build guitars you can read about their building story, which wood or parts I used. More and more will be added, so keep your eyes open to this page so you have an up to date over-view. 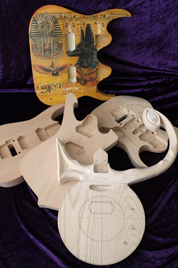 Currently I am working on a few different custom build models that needed to be added to my guitar collection. 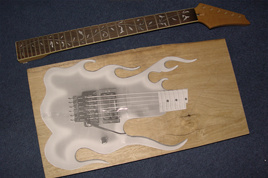 My only problem is, sometimes I start a project and before I could finish it I have all ready started another project and those unfinished custom build guitars end up on my to do list. The main reason why this happened is because sometimes I really have to wait long on parts that I ordered. Or I came across some other parts, which I could use for some new project and that new project gets my full attention. And from this the to do list grows bigger and bigger. 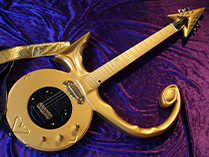 Now days I am working on a new Prince Symbol Gold Version, and I told my self I have to start and finish this guitar before I start on any other "new" project. 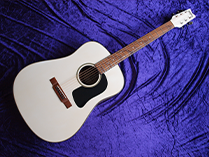 I hope I can stick to it, because while I am working on this one, I all ready get some new idea's like the Prince C-model guitar. Since I get a lot of questions about the projects I am working on, I wanted to add an progress section. Also keep your eyes open to my FaceBook, there I will do the little updates. - Ordering the remaining parts. - Picked up the body again. order some wood for the body. - Project put on hold for a while. other one was to small. is only 4 cm high. - Installed the nut on the neck.